Prior to farmers settling in the Midwestern United States and planting crops, there were extensive root systems of prairie grasses (including the strong-stemmed and tall switchgrass species) which enriched the soil, creating millions of acres of top-quality farmland. A switchgrass plot grown as part of an Argonne National Laboratory-led study to test how genetic variation within the switchgrass species affects growth. Researchers found that mixing genetic varieties from different geographical regions promotes overall crop growth. Scientists are currently investigating how grasses, especially switchgrass, can help to enhance the nation’s supply of biofuel, which is currently dominated by corn, a crop that can be easily be transformed to biofuel, in addition to its demand as industrial products, livestock feed, and food. Growing switchgrass has a number of benefits: It is a native crop that grows in different climates across the United States. When compared to corn, switchgrass can be easily maintained as it doesn't need to be re-seeded on a yearly basis. Switchgrass is resistant to extreme weather conditions and disease, and finally it is capable of being planted and harvested using commercial haying equipment. It is difficult to convert the strong lignocellulose present in switchgrass cell walls into biofuels such as ethanol, which is an additive to gasoline and a very common biofuel in the United States. This converting process is a lot more difficult compared to the process of transforming the starch in corn. This is one of the reasons that research has concentrated on how to efficiently process the switchgrass after it is transported to a biorefinery. A team of university and national laboratory researchers, headed by the U.S. Department of Energy's (DOE's) Argonne National Laboratory, are examining the other side of the production process: the farm. These researchers are growing big test plots of switchgrass crops, keeping the farmer in mind. For the very first time the team have combined varied genetic varieties of switchgrass on the plots, assuming that this could increase the production by prolonging the growing season, changing the size of the switchgrass plants to develop a fuller crop, and finally decreasing the crop's vulnerability to the changing weather conditions. The findings obtained from a seven-year study of these plots of switchgrass crops have been featured in Global Change Biology – Bioenergy. The research was financially supported by the DOE Office of Science and with extended support from Argonne/UChicago Energy Initiative and grants provided by the U.S. Department of Agriculture. This project addresses the ecological component of bioenergy research. In other words, how do you sustain yields in the field while minimizing fertilizer and pesticide use? The benefits of switchgrass can be easily overlooked by the farmers. Commercial crops, such as corn, have been specifically bred for high productivity, efficient harvesting and enhanced response to fertilizers. 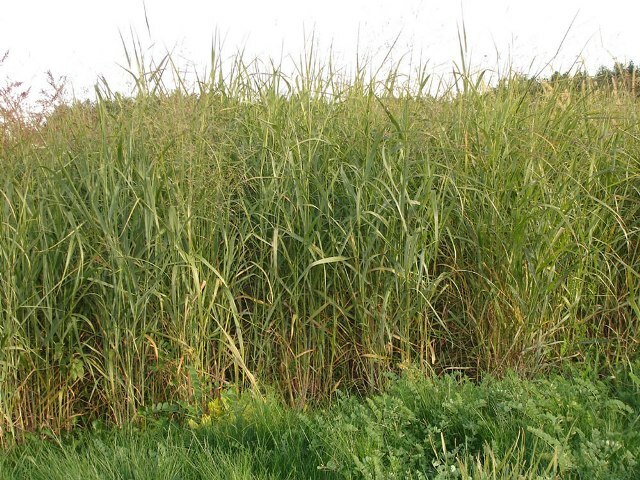 In contrast switchgrass is considered to be wild grass, often used for soil restoration or forage. The establishment of switchgrass takes place at a very slow pace, it can take a period of three to four years for a crop to attain its most productive yields, partially because switchgrass offers most if its initial energy to create a big root system that further reduces the demand for extra water or fertilizer. Earlier studies focused on the benefits of growing various species of prairie grass in the same plot. Species diversity is considered to be an ecological strength, which fosters growth and protects a plant population from pathogen build-up, insect damage, and high and low weather conditions. However it is relatively easy to process one specific species variety into ethanol, so the researchers aimed at exploring other ways to enhance productivity within the different types of switchgrasses. Switchgrass has a wide distribution across the country, and there is still a lot of genetic diversity in switchgrass, and the different varieties have different traits. The southern varieties are taller with bigger leaves and stems, but they are less dense and grow fewer stems per square meter. The northern varieties are smaller but produce more stems. The stems are the chief source of lignocellulose harvested for biofuel. The different switchgrass species also have varied growing seasons based on the quantity of sunlight received on a daily basis, and the arrival of summer temperatures in their native areas. In 2008 the researchers planted 13 acres of switchgrass at the Fermilab National Environmental Research Park in northeastern Illinois. Through 2014 the team cultivated three genetic types, or cultivars of switchgrass. All of these three types were grown on separate plots, and they were selected from varied geographic regions including; the Southlow cultivar from Michigan, the Cave-in-Rock cultivar from southern Illinois, and the Kanlow cultivar from Oklahoma. The researchers also grew a combination of all the three varieties to examine their theory that genetic variation helps to enhance growth. At the beginning of the second year a local farmer annually harvested the switchgrass plots, and the bales obtained from each plot were weighed in order to determine the yield. The experiment was managed just as a farmer would manage a hayfield. Our goal was to make the results as transferable as possible to a real production system. There was no formal method used to examine the yield based on extreme weather conditions, but all of the crops were cultivated under unique weather conditions. In 2008 the region experienced its wettest year; in 2012 it saw an historic drought and very high summer temperatures; and in 2009 and 2014 the region experienced abnormally cold winters. Despite the weather fluctuations, the cultivar mixture consistently produced yields equal to or greater than the best performing single cultivars. The team discovered that the cultivar mixture was the highest yielding crop based on the measurement of the harvested dry weight obtained from every single plot. Although the cold-adapted Southlow cultivar from Michigan was found to be somewhat higher yielding due to the cold winter of 2014, it was considered to be the lowest yielding obtained within the first five years, highlighting that within the parameters of the work, the fastest way to grow a crop and obtain increasing yields is to increase the genetic diversity by planting a combination of cultivars.